Still playing in my “unplanner” with the lovelies at documented life project/art to the fifth. This is my PAC, mine is a tag, for the third week in February. The theme was gratitude. I am so grateful for so many everything’s. Thank you. Thank you. Thank you! And I love my tag! 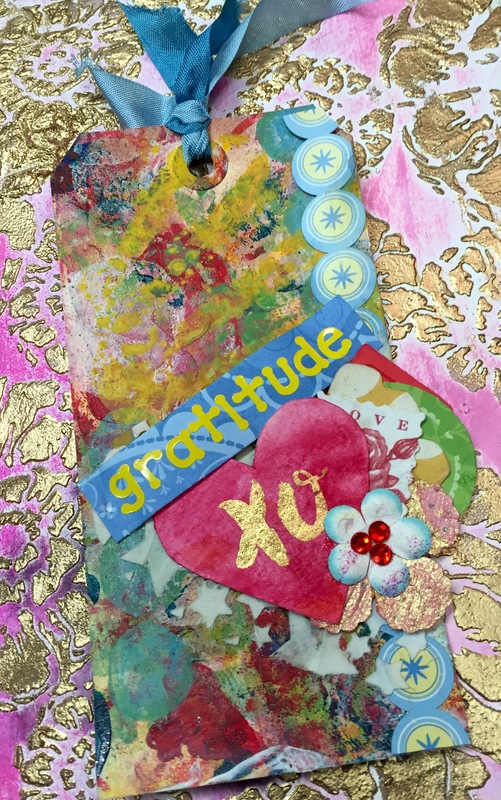 Check out the lovely layers of mixed media: acrylic paint, ink, modeling paste, stickers, water colors, collage ephemera.